Mrs. Halsey. 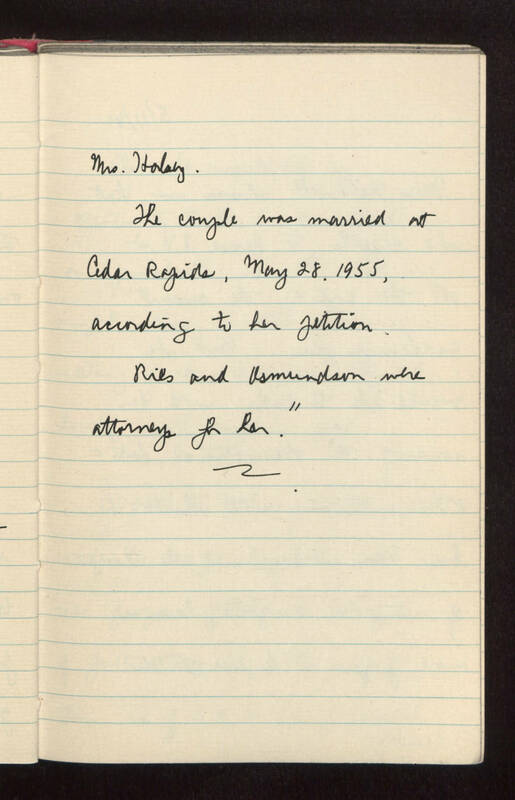 The couple was married at Cedar Rapids, May 28, 1955, according to her petition. Ries and Asmundson were attorneys for her."